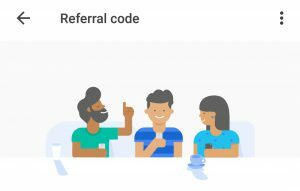 Referral code or Refer and earn codes are mostly available for all almost every app and website. To make it easy to find referral codes we have collected topmost 20 referral codes of Indian apps websites and some other. To access easily we have arranged the referral code in alphabetical order. Some apps don’t allow us to promote referral codes in websites and social media But your convenience we are posting the codes. we will update the codes almost everyday. Maybe some of the sites have blocked referral codes. if the codes are not working please feel free to comment in the comment section. we are posting only trusted apps and websites referral codes are refer and earn codes on this page. 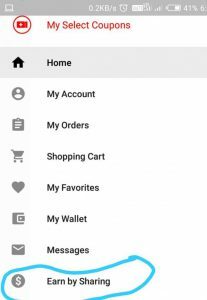 Actually there is no referral code for Aliexpress website but you can earn by sharing the products are if you’re a new user you can Get up to $100 coupons. To earn by sharing click on menu and at the bottom you are able to see Earn by Sharing. Check out below image. you can earn some money by sharing the product link to your friends and family. Apply the club factory invite code in my account area. You will get coupons worth up to 500 by applying the referral code. 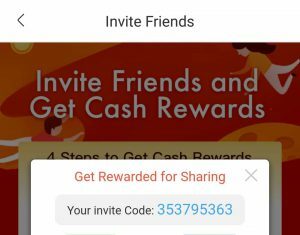 You can share you invite code to your friends and get 5% of the order amount placed by the invited user within 6 months. 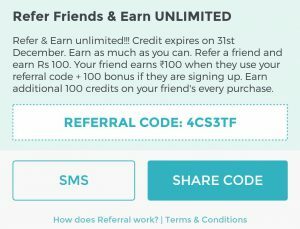 Apply this Freecharge referral code RQDG070 at the payment page and get 30 cashback on minimum recharge of 30 and above. Offer applicable on app only not on website. You can refer your friends and get 30 per refer and maximum you can earn 3000 cashback. Fynd referral code offers some times 100,200,500, and some times 1000 fynd cash. They change their refer and earn fynd cash regularly. So I am not guaranteeing you how much they will give with my referral code. 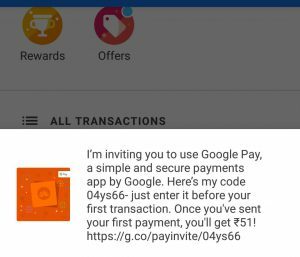 Google Pay is one of my Favorite app for inviting a friend it offers 51 to 201 per refer. Just have to send your referral link to your friend and ask them to download the app and add your bank to it and transfer minimum 1 rupee to any of your friends. We get 201 and your friend gets 51 in his bank account. It’s better to download from Play Store. Some time it won’t accept referral code. 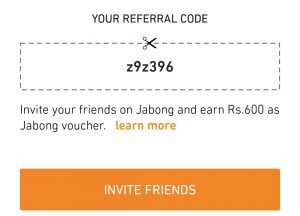 Jabong referral code z9z396. Apply this code while sign up and GET 35% Off as Jabong vouchers. You can refer your friends and get 600 rupees jabong Voucher. Earn up to RS.3000 in 3 months. Mcent Browser referral code YOV1YBR5. Apply this code while sign up and refer and earn 25,000 points per refer It is similar to 25 Rupees. To get 25,000 points your friend must have to use the app for at least 5 days. MobiKwik, use my referral code 49B59D. You get ₹ 100.0 when you add ₹ 50.0 to your wallet. 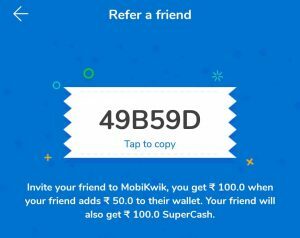 You will get 100 super cash by applying this above code Must have to add money minimum 50 rupees to the Mobikwik wallet with debit/credit card to get 100 super cash. niki referral code maanjunath. Niki won’t allow bloggers to publish referral code in the websites. But I am sharing for you all. If you face any problem please comment below we will update. More apps and offers will be updated soon.